JFK Air Lot Airport Parking is a long term airport parking lot near JFK Airport New York. Convenient and close to the airport, located approx. 5-7 minutes (2.4 miles) from the John F. Kennedy Airport. parking price per night starting from $9.99/day. 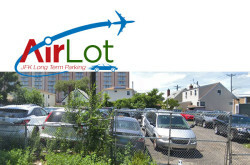 You can book online at www.airlot.net OR CALL (347) 425-3754​. 133-98 142nd street, Jamaica, New York, NY 11436, United States. Book with Way.com Discount Economy Airport Parking.